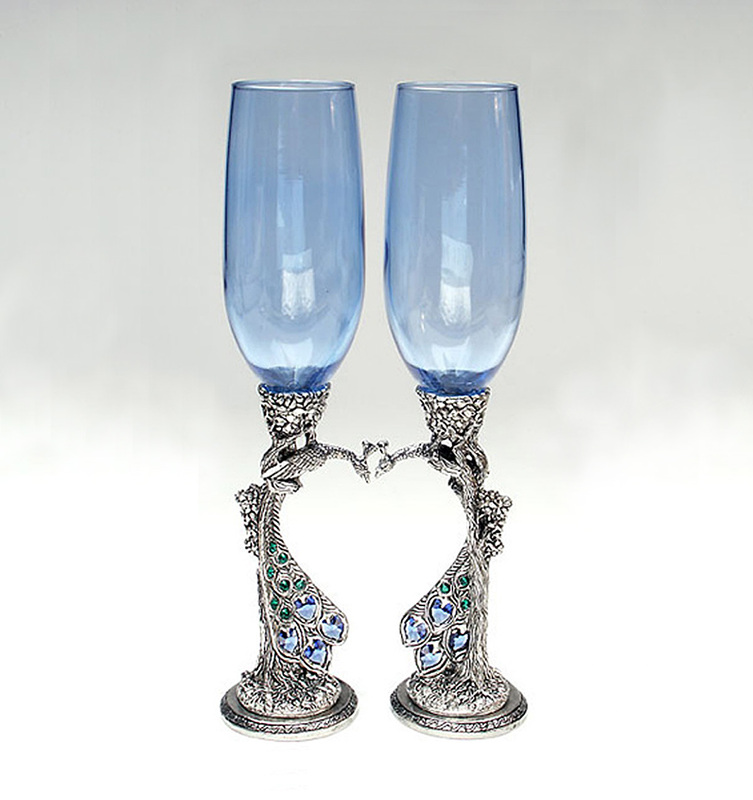 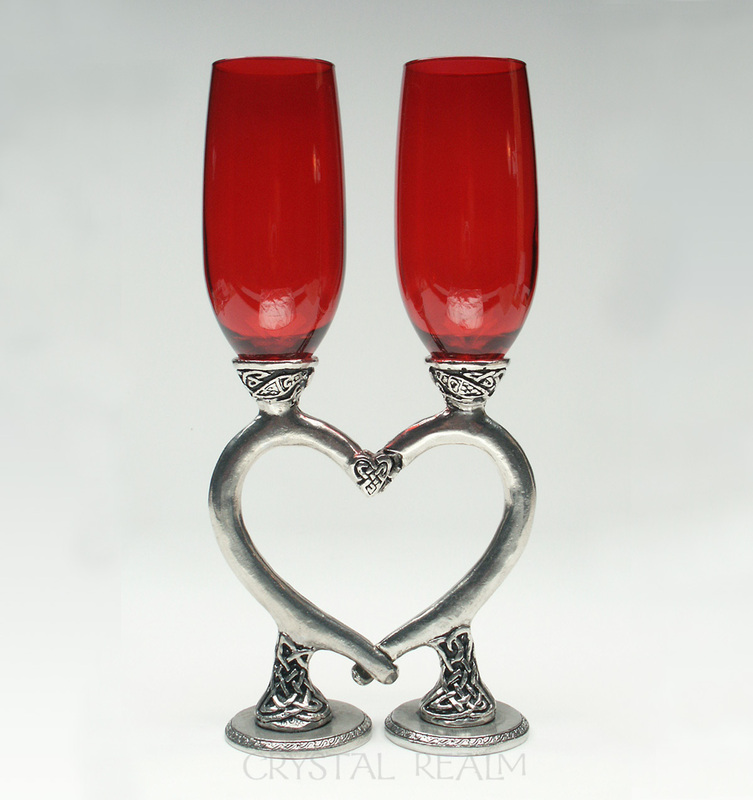 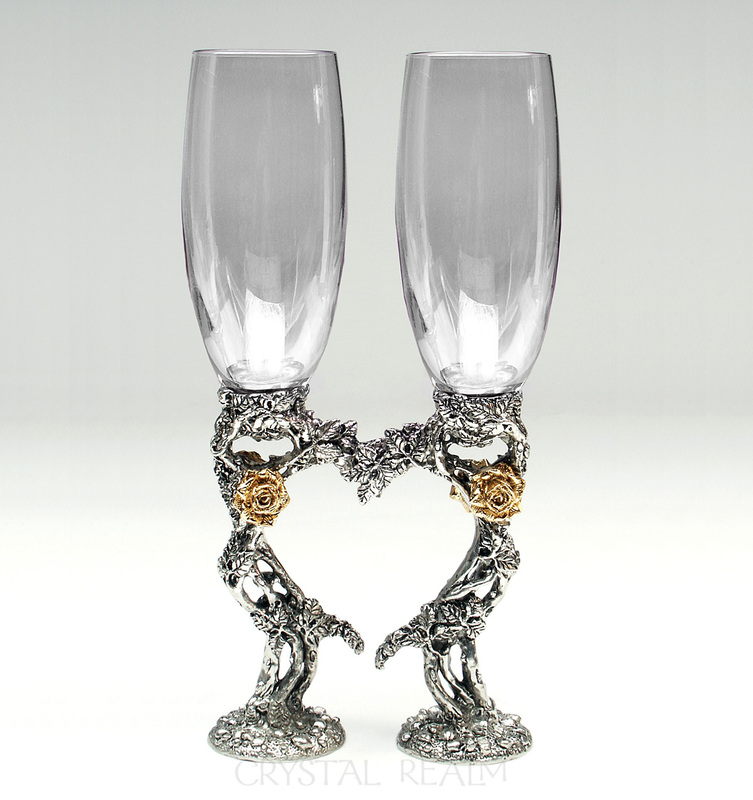 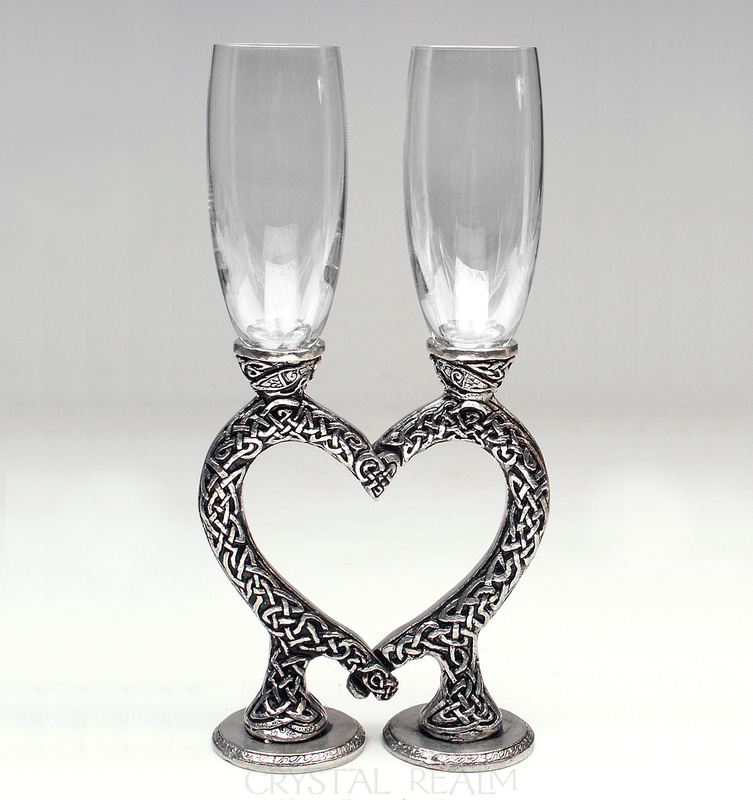 Uniquely detailed Celtic heart champagne glasses are comfortable when separated and in your hands and striking to behold when at rest in a heart shape. 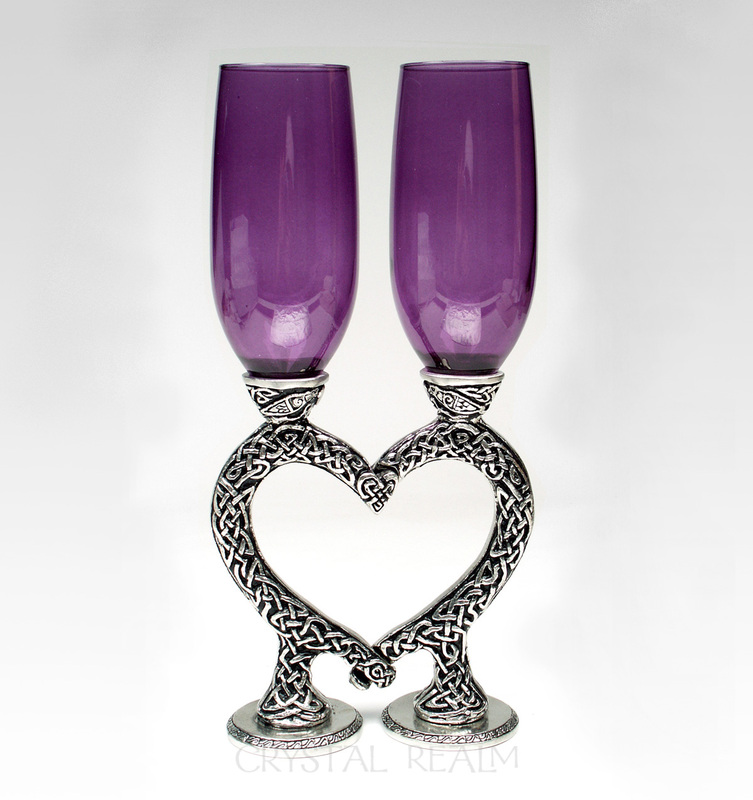 Royal amethyst purple makes a striking impression. 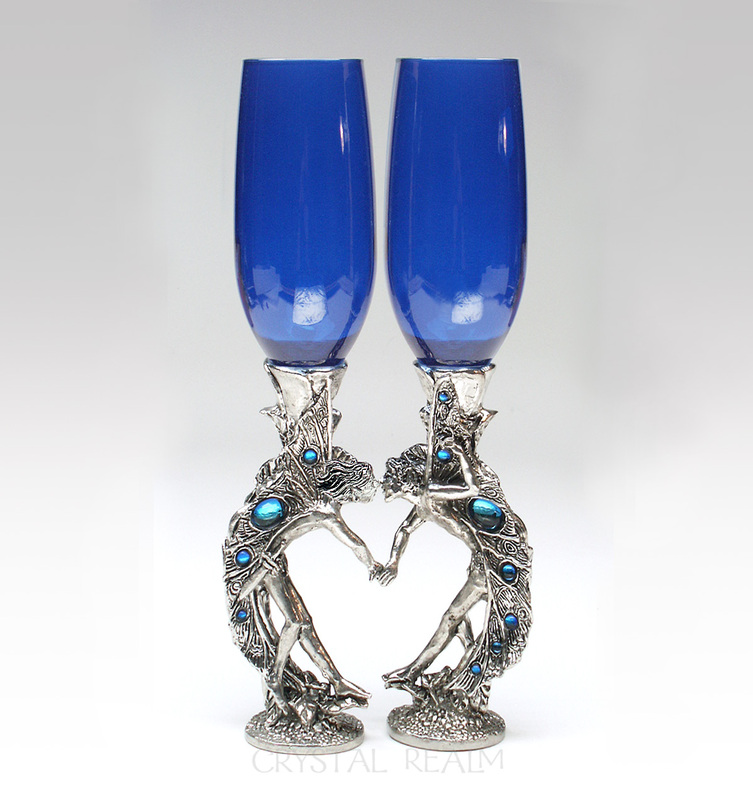 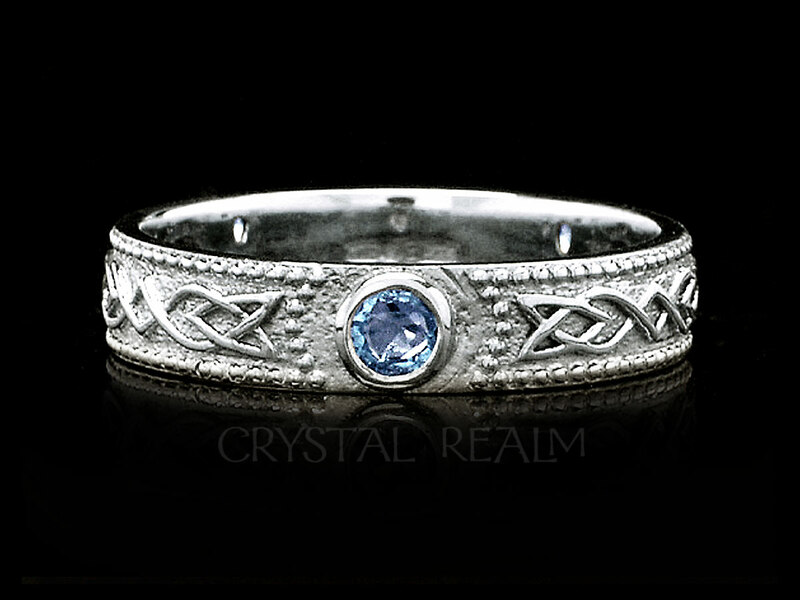 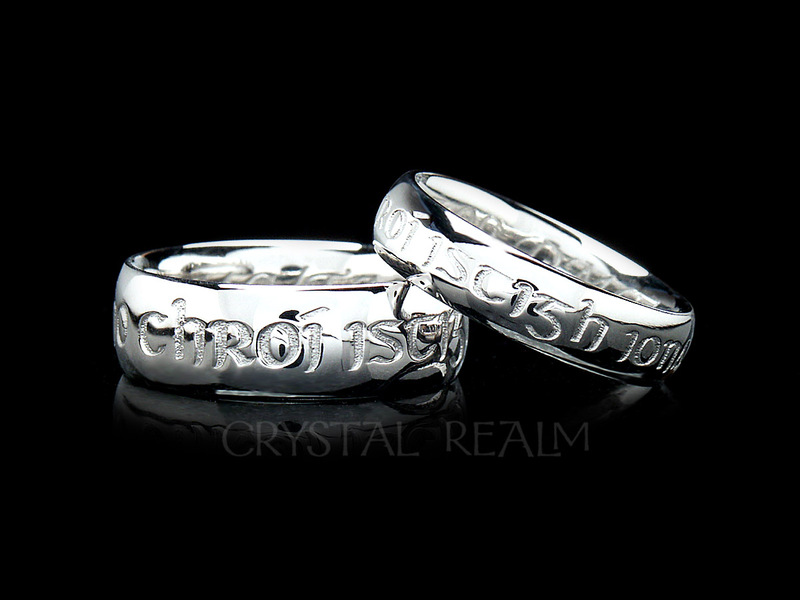 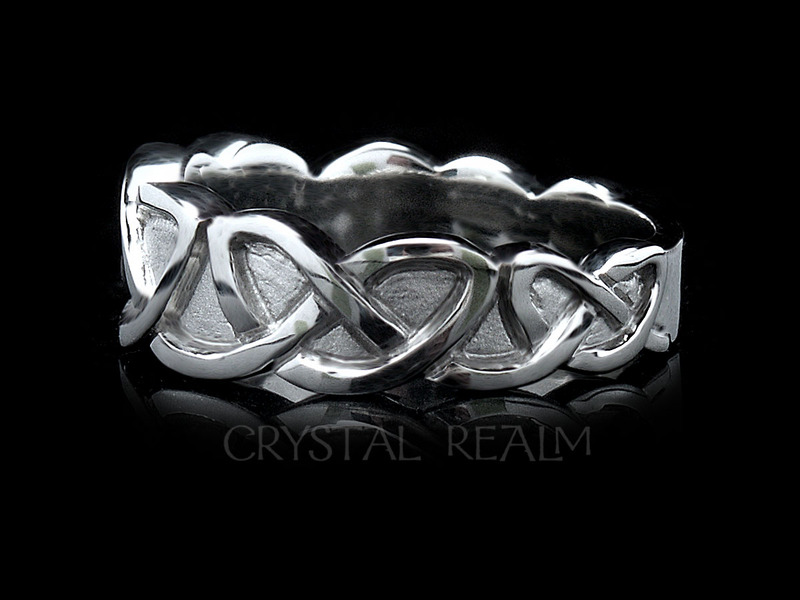 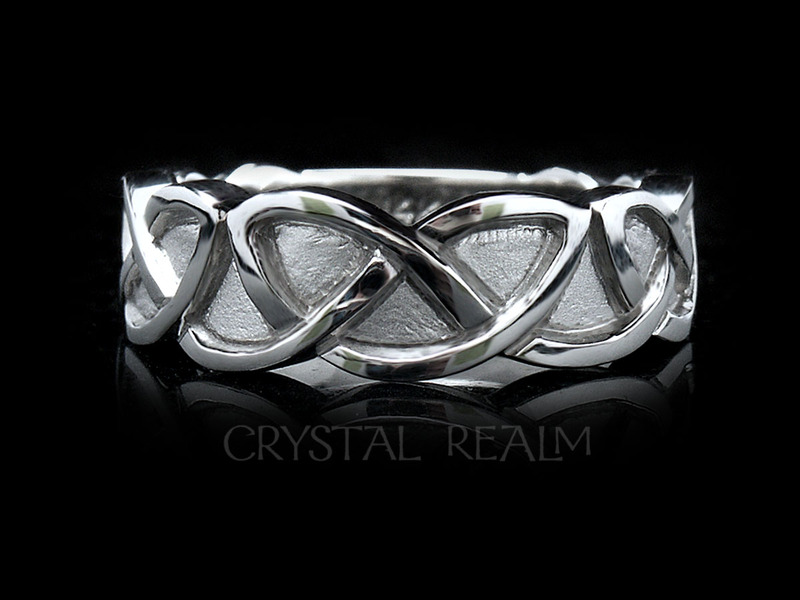 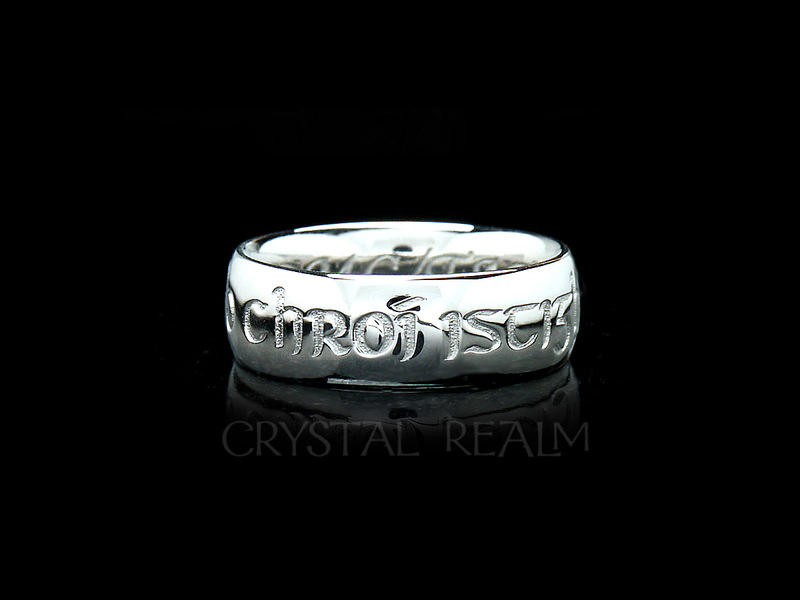 Connect with a rich spiritual and historical tradition when you toast each other in high Celtic style!